Boise, Idaho, March 30, 2012 — After months of fanfare, the Great Big Idaho® Potato Truck has officially set-off on its seven-month cross-country journey following a ribbon-cutting ceremony with Governor C. L. “Butch” Otter in front of the Idaho Capitol Building. 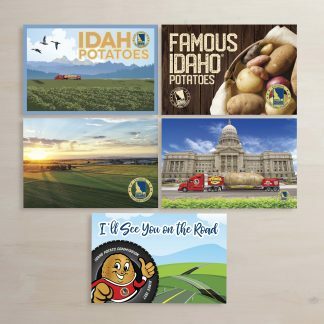 In celebration of its Diamond Anniversary, the Idaho Potato Commission (IPC) built a larger-than-life version of the vintage Idaho® potato postcard. 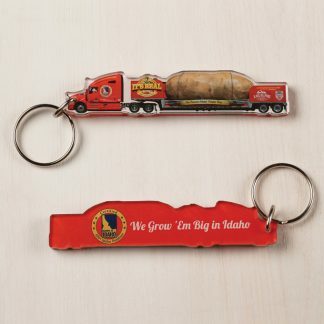 Weighing in at 6 tons, the Great Big Idaho® Potato Truck will traverse the country to greet fans and to help raise funds and awareness for Meals on Wheels, a non-profit organization that provides more than one million meals each day to homebound seniors. 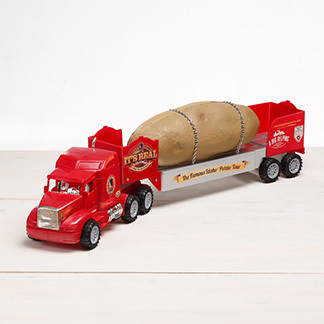 The Great Big Idaho® Potato Truck made its national debut at the Famous Idaho® Potato Bowl in Boise last December when ESPN prominently featured it several times during the Game. 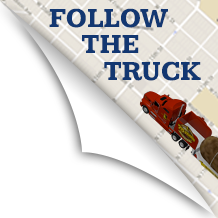 Since then, the Great Big Idaho® Potato Truck has made several local appearances in Idaho and at every venue, the most frequently asked question is “Is it real?” We’ll never tell…you decide!